Join Our Team, We're dedicated to building a team of motivated and bright talent from all over the world. We were founded on the principle of great people and great work. We began as a few folks who strongly believed in this motto and have grown the company to what we have today; over 50 employees and offices around the world. We plan to continue growing, both nationally and internationally. We believe in utilizing the power of the Internet to help clients grow their business, building results-driven digital solutions that perform with cutting-edge design, development, branding and marketing. Our clients' ROI is our factor for success. Experience in Frameworks (any one will do) – Codeigniter / CakePHP / Yii / Laravel. Working Experience in CMS (any two will do) – WordPress / Magento / OpenCart / Drupal. Knowledge of AngularJS, JQuery is desirable.Good with mobile friendly versions of the site. Familiar with Site Optimization techniques. Ability to work as an individual and also in team may be a part or as lead of the team and can handle pressures, client need and demands. An effective team player with good leading capabilities.Highly organized and detail-oriented. Quickly prototype ideas to assist in the design process for new functionality and new user experience. Debugging applications in an efficient, structured approach. Participating in code reviews of your work and the work of your team. Your role will include implementing, and enhancing the Android mobile application. You will have to lead your junior engineers. We are looking for Web Designer who would like to take up the web designing as an assignment which involves a lot of interpersonal skills, Photoshop etc. Should able to handle website errors and website optimization which includes response time, images. Needs to have an experience in designing responsive web-pages. Needs to have a very impressive portfolio that the candidate must be willing to share. Needs to have a Bachelors Degree in Graphic Design, Art, or related field. Excellent communication skills will hold the candidate in good stead. We are looking for experienced iOS developer for creating all generation apps. Having atleast 2 apps on Appstore and worked on 3 or more live projects. ‬Develop, Deploy and Maintain games on iPhone\iPad\iTouch. Having knowledge of Device data Fetch SDK integration, Data tracking, AppsFlyer, wireShark, or any other source packet analyzer. Developing high performance Game/Utility/Commercial applications with SpriteKit, ARKit game Applications with good UI. Developing applications with Push notification, location based services, social features as well as interfacing with existing system with JSON or XML. 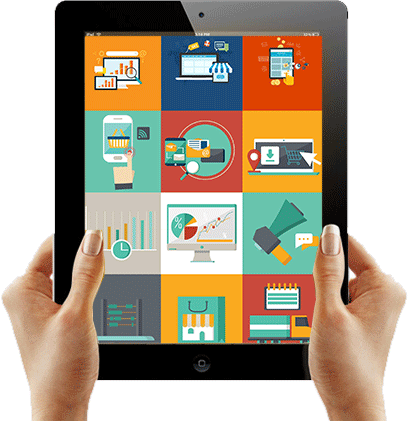 Good user experience development experience on Mobile Devices Application development. Must have 2-5 years of experience in industry. Must have 2 and more years experience in Swift. Good Swift4 and iPhone SDK, Strong Cocoa and Swift concepts.Should have knowledge of Mobile WidgetsKnowledge of Xcode 8.0, SpriteKit, ARKit, Objective C, Sqlite, Core Data, Web-services, APNS, Local notification, Facebook/Twitter integration, Graph, Audio/Video streaming, Core Location, Basics of core graphics for iPhone Developer. Comfortable working under pressure within project time Bound. Must have expertise in database management, Maintaining email lists, import/ export of email database from excel sheet to tool , database cleaning and refining, extracting database from web pages, generating/ creating new email lists/ records, must have his own mail ids to do mail blasts and so on. We are looking for a few ambitious Business Development Manager/ Executives who can generate Leads/ Clients for our IT Services Division. There is no particular selection criteria other than that the candidate should be able to independently generate business. An ability to stay calm under pressure and keep to timelines. Prepare Technical Documents like BRD’s, FRS, SRS and on user stories as well. Excellent presentation and requirement gathering capabilities. Identify use cases and define detailed requirements for each use case. Create functional specifications in a manner compliant with Agile. Produce documentation for user manuals. Analyze changes in existing features and functionalities and provide recommendations for the implementation of new or updates in for implementation of new business services and Project requests. Well versed with MS Office# Good documentation and formatting skills. Very good understanding of software development life cycle and processes. Team player, strong problem solving and analytical skills.